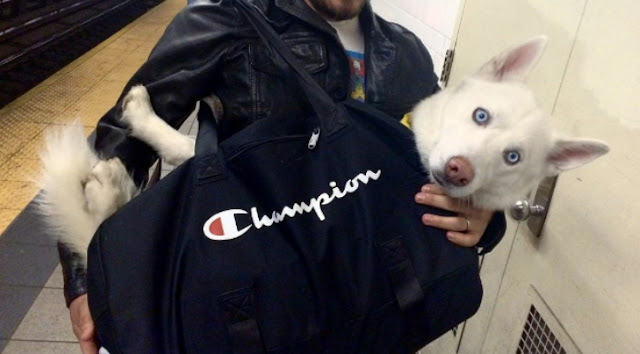 White Wolf : NYC subway banned dogs unless they fit in a bag, so these owners got creative. 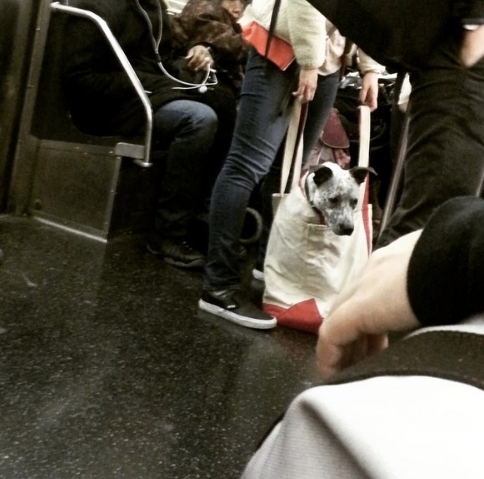 NYC subway banned dogs unless they fit in a bag, so these owners got creative. 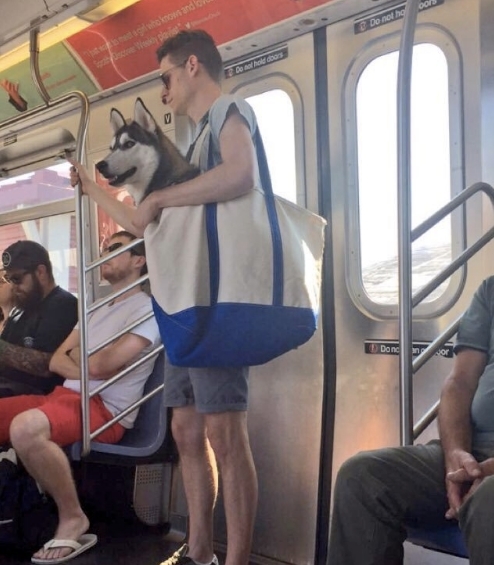 When New York City decided to implement policies to ban large dogs from the subway system, pet parents decided to take things into their own hands. 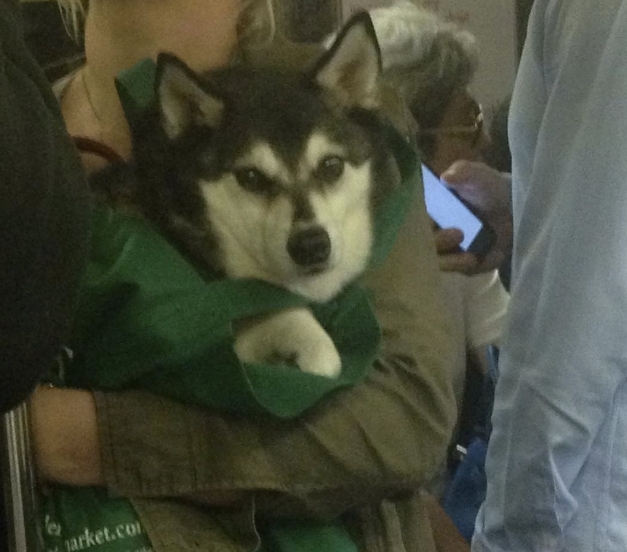 The rule stated that dogs must fit into a bag to be deemed travel worthy in the underground. Challenge accepted. 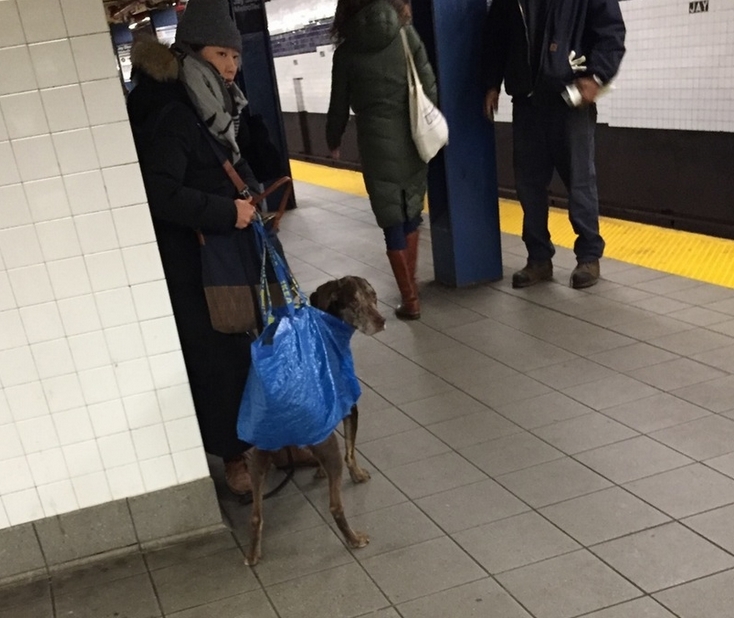 On the surface it seemed that any dog over 10 pounds would not make the cut, but these every resourceful city dwellers beat the system in the best way. 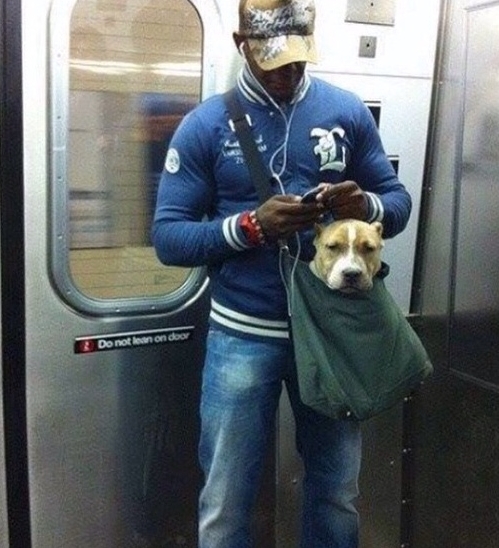 “No person may bring any animal on or into any conveyance or facility unless enclosed in a container.” But the rules say nothing about the size of the animal, some people are quick to exploit that fact. 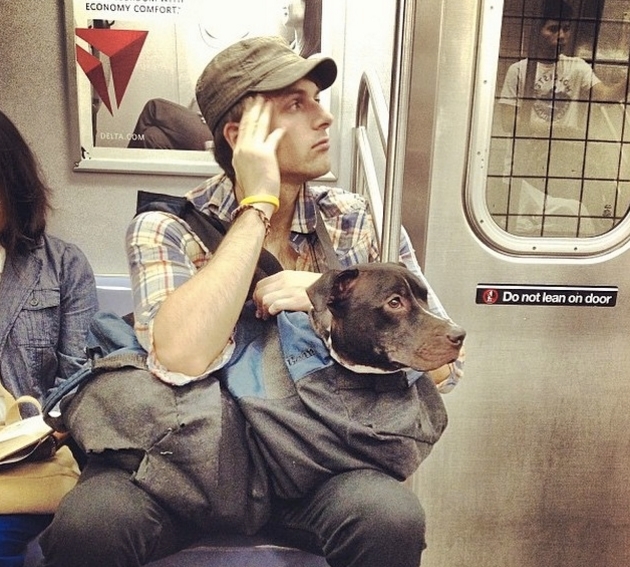 Many riders claim to be unaware of the rules. Unlike signs that remind riders that smoking and moving between train cars are not allowed, the restrictions on dogs are not widely posted. On a No. 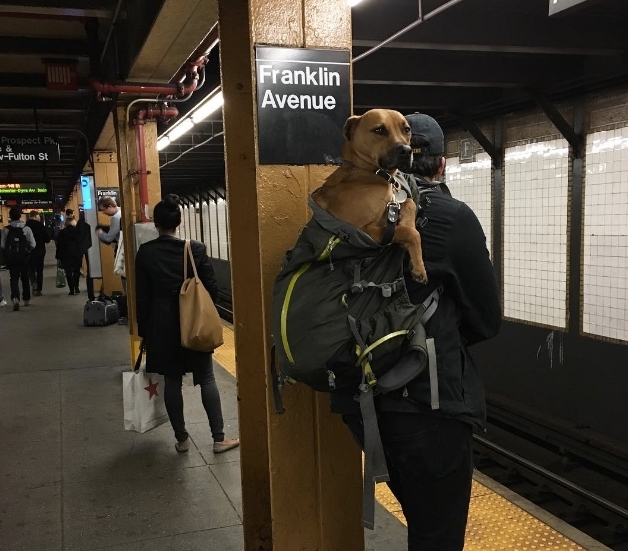 7 train from Manhattan to his home in Queens, Amaru Alzogaray, a dog walker, was transporting three Yorkshire terriers for which he regularly cares. A taxi ride could cost $60, he said. 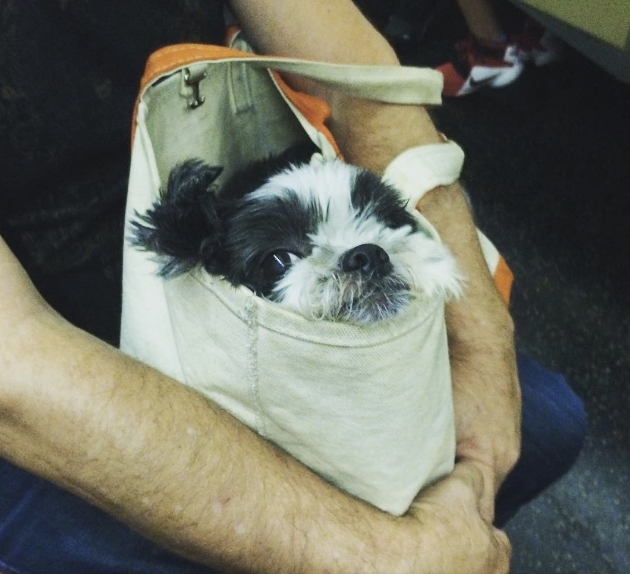 “I didn’t know that you had to have them inside a bag,” Mr. Alzogaray said. 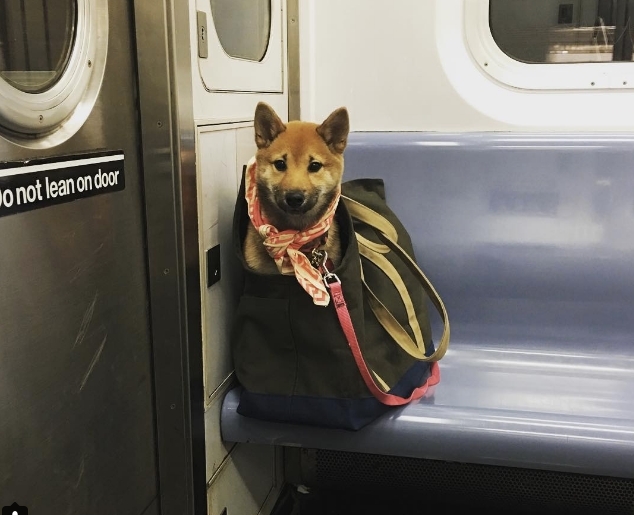 “I thought only that they have to be well behaved and not dangerous to other people.” To some, bringing a dog onto the subway is not unlike nail-clipping or so-called manspreading. 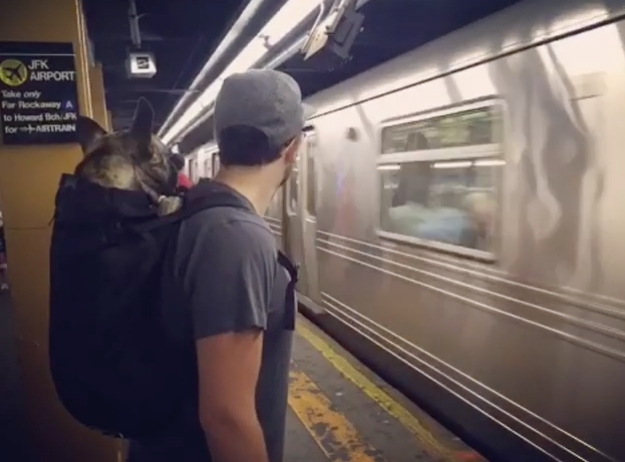 They say it should be similarly scorned by subway officials and included in the current campaign for improved subway etiquette. 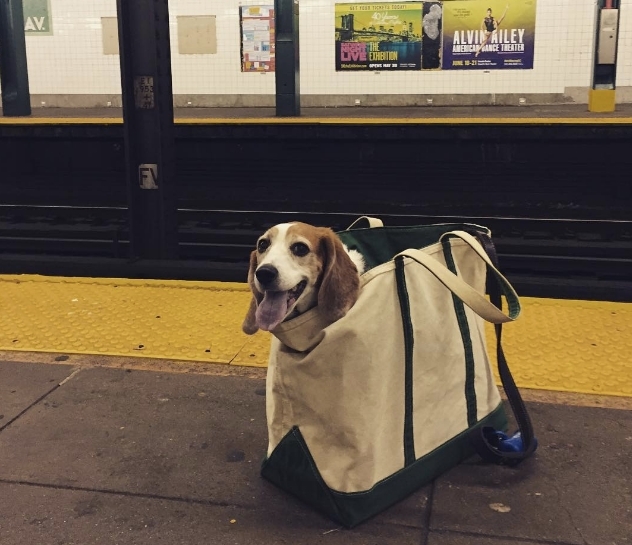 Responses to "NYC subway banned dogs unless they fit in a bag, so these owners got creative."